Representative of specialized medical equipment. Such equipment has been developed by many races. 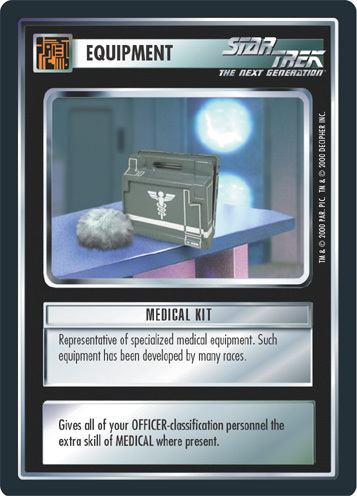 There are 15 entries for Medical Kit (ST1E 9 SAR 157) at the Tradeplace (19 haves and 4 wants). Click here to see all trade list entries for this Starter Alternate Image Reprint Card card!